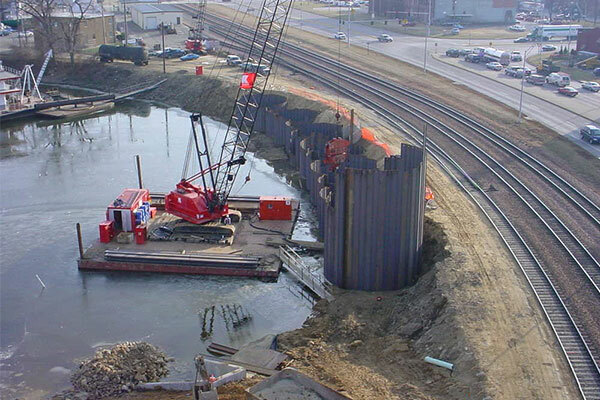 Kraemer constructed the Dubuque Ice Harbor, which included nine cellular cofferdams and closure arcs on the edge of the ice harbor in preparation for the future expansion of the adjacent frontage road. Project challenges included cofferdam installation in ice/winter conditions and coordination with BNSF Railroad for track time and track outages. The new marina facility includes a total of 70 transient boating slips ranging in size from 30 to 50 feet in length.